Answer all questions – it is recommended you spend 1 hour on Section A in the Exam. Section A is worth 50 Marks, the whole paper is worth 80 Marks. Watch the Moving Image Extract. You will have 3 minutes to read all the questions before the extract begins. The extract will be screened 4 times. For the first screening just watch, do not make any notes. During the second screening take notes. There will be a break for you to take further notes. The extract will be screened a third time, followed by another short break. There will be a fourth screening during which you can again take notes. Ensure you strike through your notes with a diagonal line before the end of the exam. 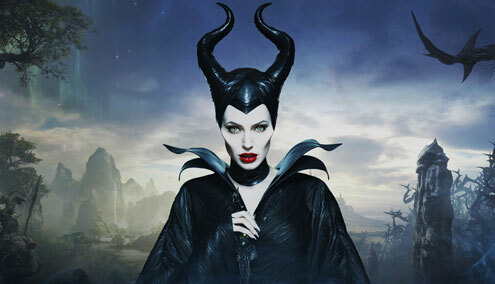 The extract on is from the film Maleficent (Director Robert Stromberg, 2014). See YouTube clip below. Maleficent has just declared herself Queen of the Moors, anguished by Stefan’s betrayal. In this sequence she forms a dark kingdom with Diaval, a Raven (bird) who she gives human form to in return for him acting as her spy. Diaval takes on bird form again to spy on Stefan and reports back that he is being crowned king. Maleficent walks into the moors, angry and defiant and sees the magical creatures that are her followers, who bow down to her. Maleficent, Queen of the Moors - A powerful fairy whose wings have been cut off by Stefan in a bid to become king. Stefan - A human peasant boy who has affections for Maleficent but who wants to better himself. Diaval - A Raven who is Maleficent’s confidant and minion. Magical Forest Creatures - Followers of Maleficent.